To any artist there is nothing more important than your art, so knowing that you’ve got it backed up safely can be a huge weight off of your shoulders. 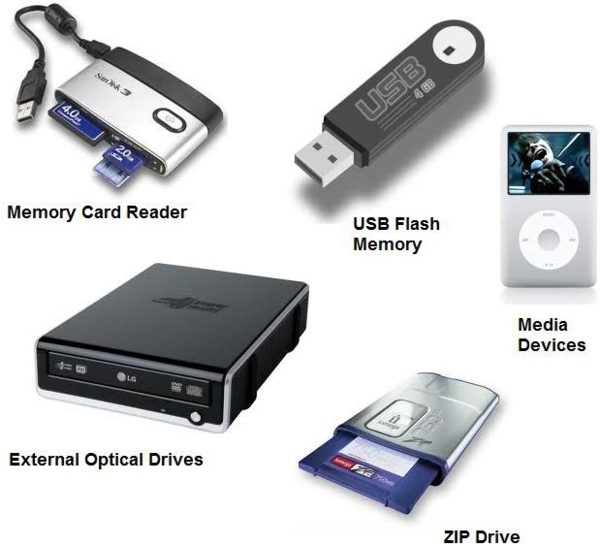 Although there are a number of different ways to store your data nowadays relying upon only one system can be dangerous, for example what if your USB stick goes missing or your hard drive gets wiped? Investing a little money and extra time can save your skin in one of these situations, so explore some of the alternative methods of backing up your art work and be sure to try them! We’ll go into a bit more depth regarding how you can use these to store your data if needs be, and which is the best option for you. Using a USB to back up your data is an excellent option, and is generally one of the most hassle-free. USB stick are plug and play device, so there’s no need for you to worry about setting it up correctly or having to format anything beforehand. They also take up an extremely small amount of space in your drawer or bag which means they make it very easy to get your art from one place to another and you don’t need to take your whole laptop or external hard drive with you. Depending upon what size memory of USB stick you want you can pick up high quality ones for relatively low prices, making it an even more convenient way to store your artwork! You can easily use your DVDs to make multiple copies of your artwork, for example if you’re planning upon distributing your work in digital form then these are an excellent way to do it! You can pick up a set of rewriteable DVDs from any technology shops or even supermarkets and get to work right away at sharing your work! If you’re only using your DVDs to store your art rather than distribute it then they’re also an extremely easy option to use, however just be careful to look after the discs when they’re holding your precious data. As long as you store them in a CD holder then they will be fine, being careful about keeping them unscratched is of utmost importance! If you’ve got an awful lot of work to store, or if you’d just prefer something a bit sturdier and heavyweight then investing in an external hard drive is definitely the way to go. These provide you with a lot of bang for your buck, and are extremely reliable ways to store data. Although they are a lot bulkier than a USB stick or DVD, you don’t have to worry about slipping out of your pocket on a way to a meeting or getting scratched and becoming unreadable making them an accident-prone user’s friend. Even if you are using another form of data storage, I strongly suggest you also use an external hard drive too, that way just in case anything does happen you’re covered. What better way to store your artwork than have it in a hard copy on display in your own home? Getting your artwork printed is an awful lot easier than it seems, for example there are plenty of printing shops that can offer cheap flyer printing, canvas printing and poster printing. These are also great ways to help distribute your art and get it seen by the public eye, however be sure to keep a framed copy of a poster or flyer just in case you lose the digital versions. This then means it can be reproduced later on and reprinted if your storage system didn’t work. Although it’s still a relatively new way to store your artwork and media and so some artists don’t feel they can rely on it solely just yet, cloud storage is a cheap and easy way to get your work backed up for your peace of mind. If you’re still unsure, you can use it alongside something such as a USB or external HDD giving you a quick access way online to hold your art and if it comes to it you also have other digital versions available, this way if anything does go wrong with cloud storage you’ll still have your hard work saved elsewhere. This article was written by Deborah Malissa on behalf of Wales Print. Wales Print offers cheap flyer printing at a very reasonable rate. Deborah is an avid art enthusiast who enjoys writing for the many technology blogs that she writes for.